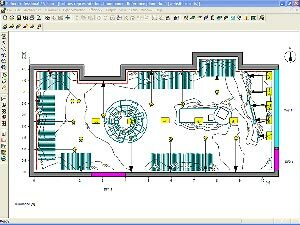 This professional software is designed for lighting planing of inner premises, outdoor areas, lighting of facades, lighting designing and projecting. The software is able of calculating natural light as well as energy consuming in a particular object (for example, total energy consuming in the object per year) depending on an isolation and artificial light. 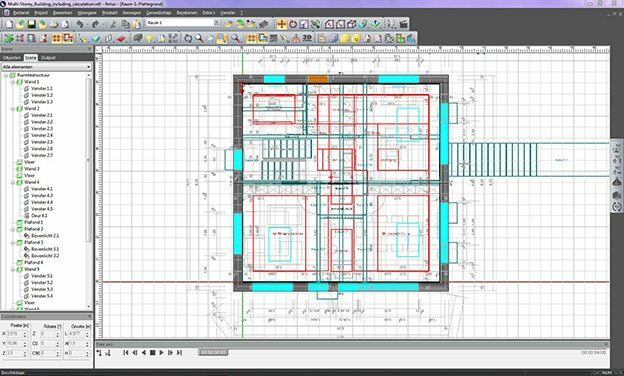 Software includes rather extensive library of various interior and exterior elements that might be included for design of interior or facade, its estimation and visualization. The program precisely estimates vertical and horizontal lighting levels, blinding and natural light factors. It is possible of accurately visualizing 3D graphic design presenting natural light breaks, reflections and object views from various angles.